MEXICO CITY (AP) — Much like the late Osama bin Laden, the man the U.S. calls the world's most powerful drug lord apparently has been hiding in plain sight. Mexican federal police nearly nabbed Joaquin "El Chapo" Guzman in a coastal mansion in Los Cabos three weeks ago, barely a day after U.S. Secretary of State Hillary Clinton met with dozens of other foreign ministers in the same southern Baja peninsula resort town. Jose Cuitlahuac Salinas, Mexico's assistant attorney general in charge of organized crime investigations, confirmed on Sunday that there was a near miss in late February in the government's efforts to arrest the man who has become one of the world's top fugitives since he escaped prison in a laundry truck in 2001. "We know he was there," Salinas told The Associated Press. The incident fuels growing speculation that authorities are closing in on Guzman, and that the government of President Felipe Calderon is determined to grab him before his six-year term ends in December. Calderon can't be re-elected, and his National Action Party is trailing in the polls ahead of the July 1 presidential vote. 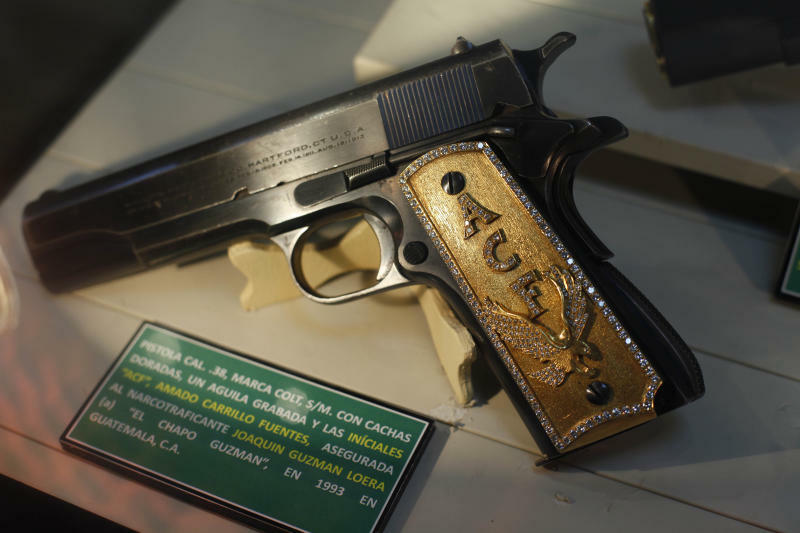 Many Mexicans say they are weary of his government's assault on organized crime that has left more than 47,000 dead and Guzman stronger than ever. The arrest of the top capo likely would be a political boon to the ruling party. Two men and two women in the house where Guzman allegedly had been staying were detained and are in the custody of the attorney general's organized crime unit, Salinas said. He did not release their names but said at least one of the men served as a pilot for Guzman. Federal police also found arms in the house, Salinas said, but he did not offer details. The raid was led by Mexican authorities. Salinas would not say if the U.S. Drug Enforcement Administration had any involvement. The DEA referred all comment to the Mexican government. 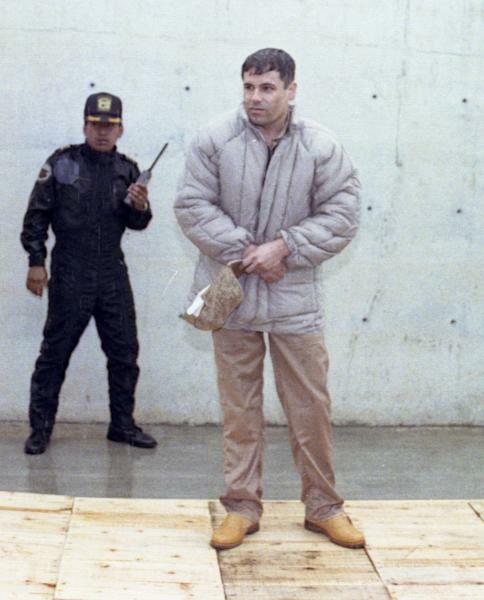 Since his prison escape, Guzman, 54, has transformed himself from a middling Mexican capo into what the U.S. Treasury Department calls the world's most powerful drug trafficker. Calderon's government says it doesn't rank the 15 cartel leaders on its most-wanted list, but Guzman's Sinaloa cartel controls trafficking in nearly half of Mexico. Much of the rest of the country is in the hands of the Zetas cartel. U.S. law enforcement officials say no other cartel has the international cocaine distribution networks of Sinaloa, which is also making a major push into methamphetamines in Mexico and Central America. Guzman appears annually on the Forbes magazine list of the world's billionaires, and also has been named by the magazine as one of the world's most powerful people. He has a $7 million bounty on his head in Mexico and the U.S., and teams of law enforcement agents from both countries are devoted to his capture. Guzman is often rumored to be hiding in the remote hills of his home state of Sinaloa, or in other locations, including Argentina for a time. Guatemalan President Otto Perez Molina said he has reports that Guzman has been in his country recently as well. One U.S. diplomatic cable released by WikiLeaks quoted Mexican Defense Secretary, Gen. Guillermo Galvan Galvan, as saying that Guzman moves frequently among 10 to 15 locations to avoid arrest, and has a security detail of up to 300 men. 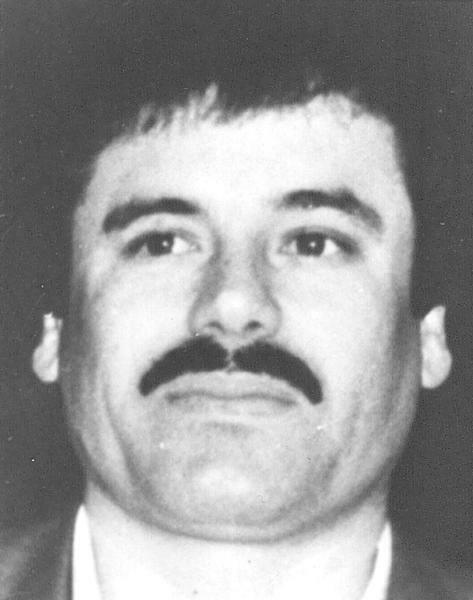 Salinas said he didn't know if this time Guzman was in the house with only four other people and lacked the expected entourage of bodyguards and surveillance equipment, which reportedly normally includes helicopters. He would not give details of how the operation was carried out or what the four may have told authorities. Rumors also surface regularly that police have shown up in various hideouts just as Guzman is escaping out the back door. Law enforcement and military have said they were close before, including raiding a remote Sinaloa town where Guzman got married in 2007 hours after the wedding. His narrow escapes raise the suspicion that he could be getting tipped off, including this time. A series of bus burnings and narco road blocks in Guadalajara on Friday fueled new talk that authorities had captured Guzman. The commotion instead was related to the arrest of a leader of a smaller cartel, the New Generation, believed to be aligned with Guzman. "We're still searching," Salinas said. When asked if authorities are close, he just smiled. Salinas wouldn't say when federal police received the intelligence that Guzman was in one of several exclusive subdivisions of million-dollar homes between the Cabo San Lucas Highway and the beach. The operation ran several days starting on Feb. 21, just as the city had been filled with top security and foreign ministers meeting in advance of the June G20 countries, which will also be held in Los Cabos. Salinas said he did not know the exact location of the house where the operation took place. But municipal police commander Alfonso Meza said it is located in the exclusive Punta Ballena development overlooking the Gulf of California. The home is still sealed off by the attorney general's office and the organized crime division, he said. The Calderon administration has long been accused of protecting Guzman as it carried out major hits on his enemies, dismantling the rival Arellano Felix and Beltran Leyva cartels and taking out top leaders of the Gulf Cartel. But more recently, the Calderon government has come up with major hits on Sinaloa. In the last six months, it has netted Guzman's major methamphetamine manufacturer, a major cocaine shipper and Guzman's security chief, seizing computer files and other valuable data. Los Cabos, at the tip of Baja peninsula, is considered one of the safest locations in Mexico, a favorite vacation spot among Hollywood stars and thousands of U.S. tourists who still venture to Mexican beaches despite the violence that plagues much of the country. But the peninsula also has been frequented by drug lords. Federal police arrested one of Mexico's most violent drug traffickers, Teodoro Garcia Simental, known as "El Teo," two years ago in the home he owned in La Paz, north of Los Cabos. The U.S. Coast Guard in 2006 arrested Francisco Javier Arellano Felix, head of the Tijuana-based Arellano Felix gang, as he was sport fishing off the coast of Los Cabos. Osama bin Laden, the United States' most wanted man for the Sept. 11, 2001 attacks, was killed by commandos last May in his compound an upscale suburb of Islamabad, Pakistan. Like Guzman, many had speculated he was hiding out in rugged mountains. Instead, he was found a short distance from the country's main military academy.